One of the best views in City Island, that scenic village off Pelham Bay Park in the north Bronx, is from the cemetery on the island’s east side. There’s no hint that you’re in New York City here in Pelham Cemetery, where tombstones overlook boats bobbing rhythmically in the waters of Long Island Sound. The people of City Island have always had strong ties to the water. Once home to oystermen and shipmakers, today the island is a haven for those who seek recreation and refuge in its Cape Cod-like environment. Throughout the cemetery there are vivid reminders of the island’s past as a hub of maritime production and signs that the water is the community’s soul—numerous tombstones are marked with nautical ranks of those who made their living on the water or are decorated with images of ships, sailboats, anchors, compasses, fish and other animals, all emphasizing the aquatic connection, whether commercial or recreational. An inscription on one gravemarker perfectly captures the spirit of the place: Rest in peace on this island where you were born and raised; home again on the shores of these waters you loved. A fire that destroyed the cemetery’s records before 1922 obscures its early history, but it seems it was established as the village graveyard by the mid-19th century. 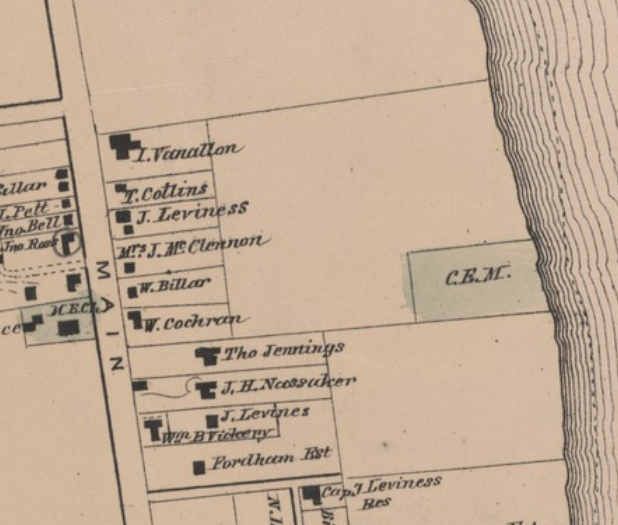 An 1868 map depicts the cemetery at is current location along the shore, and many of the early tombstones in the graveyard date to this time period when large numbers of settlers moved to City Island. 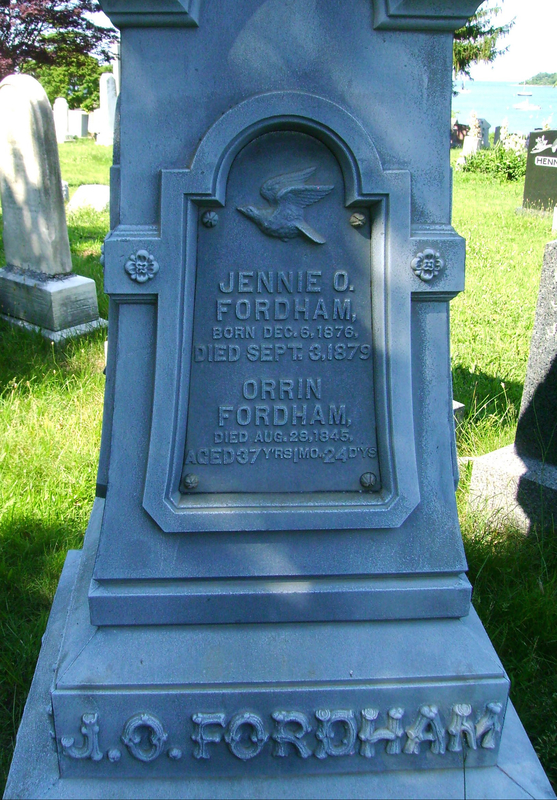 The island was isolated and sparsely populated until Connecticut shipbuilder Orrin Fordham established an oyster planting business on the island’s east side around 1830, a concept that revolutionized the American oyster industry and ushered in settlers and a period of prosperity for City Island. The oyster business thrived here through the 1890s and oystermen became some of the island’s wealthiest residents. Many of these early settlers and their descendants are represented in family plots at Pelham Cemetery. 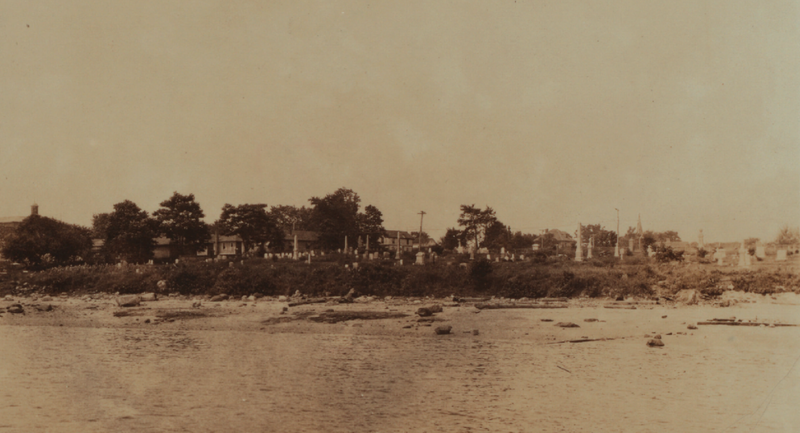 In 1881, the three-acre cemetery was officially incorporated as Pelham Cemetery Association, so named because City Island was within the boundaries of the town of Pelham in Westchester County until New York City annexed it in 1895. 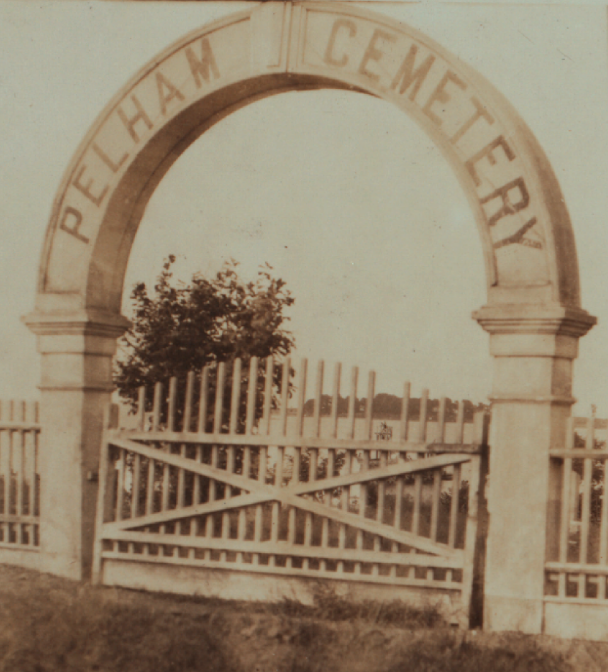 According to City Island legend, remains from an early burial ground on Fordham Street were transferred to Pelham Cemetery when Public School 17 was built on the old burial site at 190 Fordham Street in 1897-98. 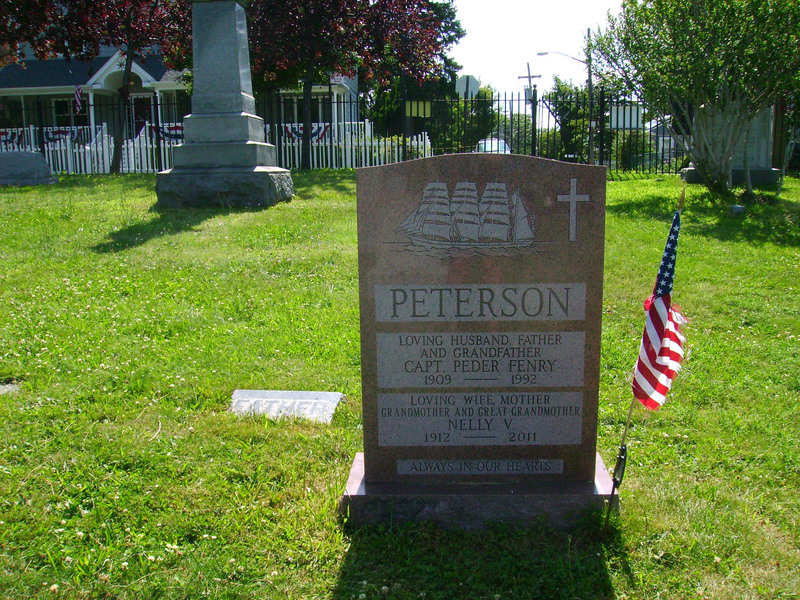 Also buried in Pelham Cemetery are men and women who worked in the shipyards and sailmaking lofts that opened on the island in the 1860s and flourished until the mid-20th century. Among the shipbuilding pioneers interred at the cemetery is Augustus B. Wood (1831-1902), a lawyer, yachtsman, and boatbuilder whose City Island shipyard developed a national reputation for building very durable, light boats, including oyster skiffs and the famed Hell Gate pilot boat. The Hell Gate Pilots Association had their headquarters at City Island and in the 19th and early 20th centuries many of the island’s men made their living piloting vessels through the East River’s treacherous Hell Gate passage. 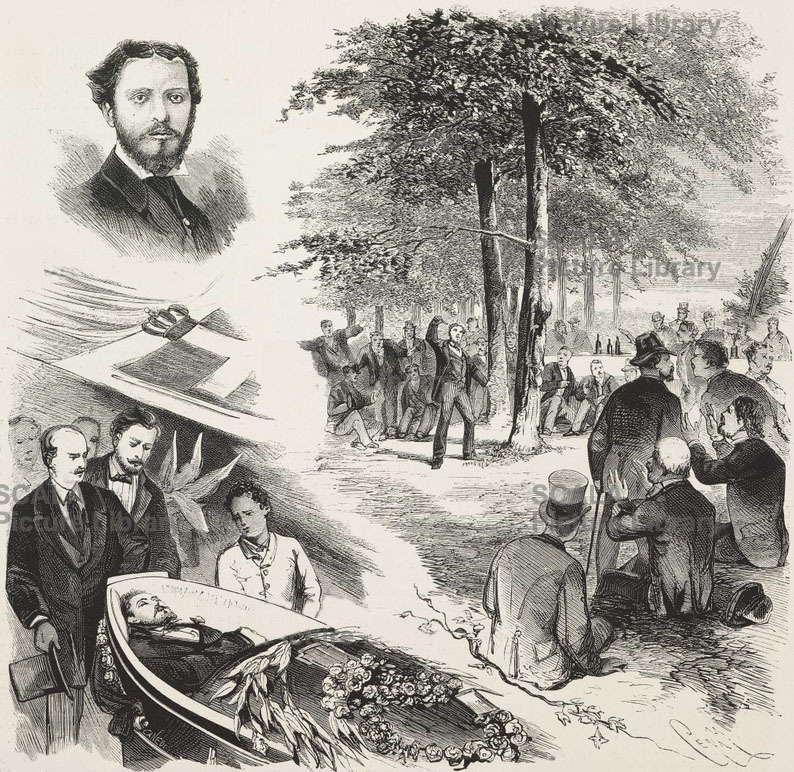 A number of Hell Gate pilots are buried at Pelham Cemetery, including “Dynamite” Johnny O’Brien (1837-1917), a daredevil sea captain and gunrunner revered as a hero of the Cuban people for his expeditions supporting their revolution. Capt. Edward Sadler, a City Island icon who died in 2011 at age 95, is here at Pelham Cemetery, too. Sadler, a Hell Gate pilot and FDNY fireboat captain, was a lifelong islander and community activist; he died in the same home where he was born in 1916. Pelham Cemetery is a nondenominational burial ground and more than 2,000 people are buried here; most spent their lives on the mile-and-a-half-long island or have strong connections here. One exception is Italian artist Pietro Vaini, whose life on City Island was a brief and tragic one. Vaini came to New York City from Rome in 1872 and had a studio in Manhattan, where his talents attracted attention and he was considered to have great promise. On August 31st, 1875, Vaini came to City Island to attend a picnic at a gathering of local politicians and Hell Gate pilots. At one point during the afternoon, Vaini rose to recite a poem in Italian; his intense and earnest delivery riveted his audience, although most didn’t understand his words. At the close of his recitation, he announced, “Dio è il giudice di tutti i giudici, ed è il giudice di questo, mio atto,” (“God is the judge of all judges, and is the judge of this, my act”); he then drew a small revolver from his pocket and fired into his right temple. The spectators, imagining his act was simply the denouement of a dramatic performance, broke into applause before realizing what had happened. Vaini died without regaining consciousness; subsequent inquiries determined that friends were worried about his mental state for some time before the incident. 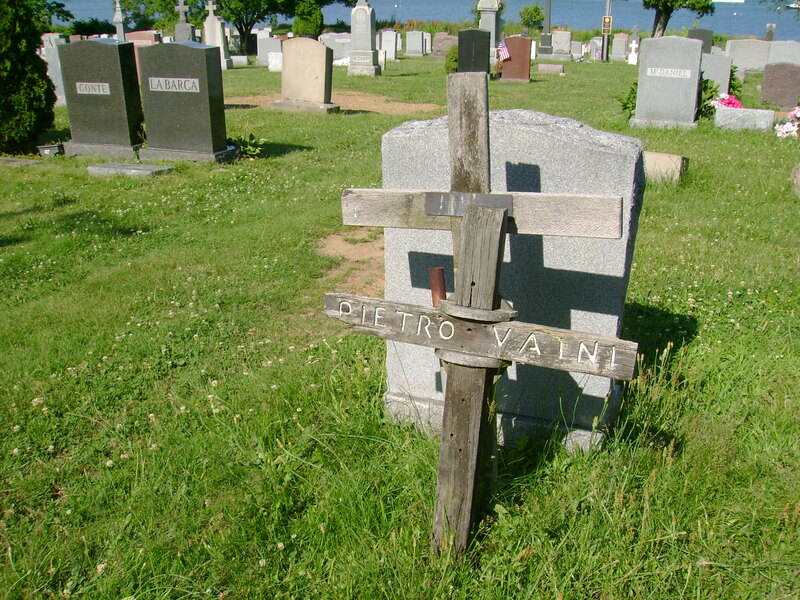 The story of Pietro Vaini’s suicide became part of City Island lore, with many variations and embellishments over the years. Two weathered wooden crosses just inside the cemetery’s main gate mark his grave. 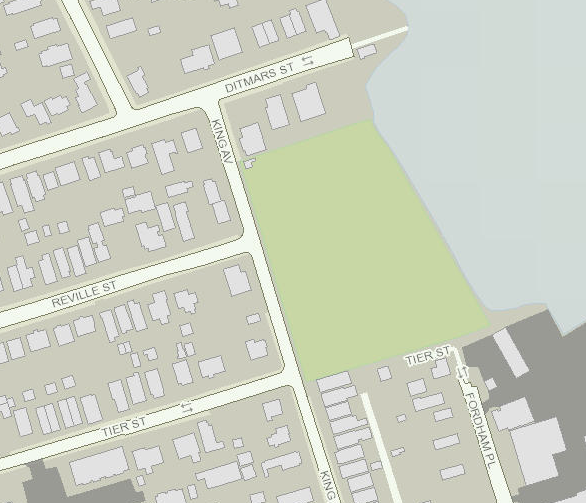 Today, City Island’s days of oystering, boatbuilding, and sailmaking are long gone. Gone too are the Hell Gate pilots, who were absorbed by the Sandy Hook Pilots Association in 1967. 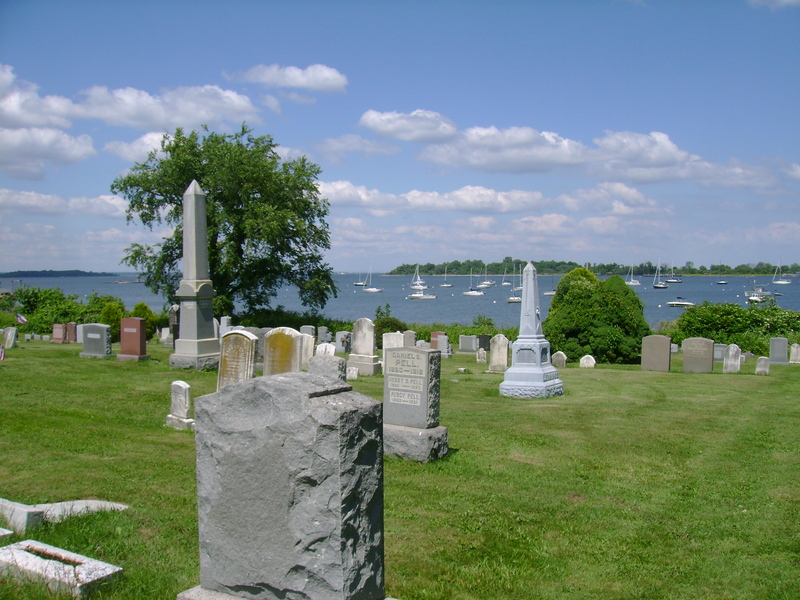 But the island is still alive with nautical pleasures and a walk through Pelham Cemetery tells the story of its rich maritime heritage, and of those who are still lured to the island and its waters.